Pumpkin blossoms are delicious battered and fried. 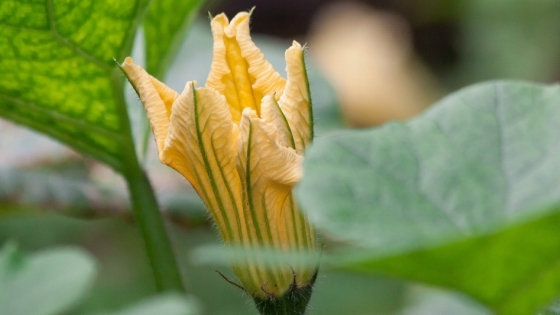 Pumpkin blossoms have a long food history as an edible part of the pumpkin plant in Africa. Pumpkin blossoms prettify your garden, and bring beauty and an interesting flavor to your mealtime. 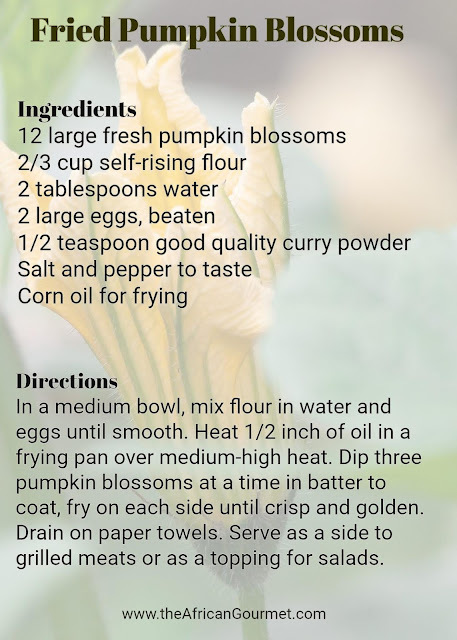 Pumpkin blossoms add flavor and color to any dish served up in the kitchen. 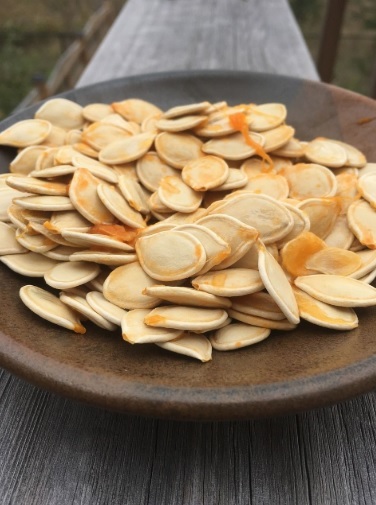 Egusi seeds are the seeds of plants of squash, melon, gourd, pumpkin etc which after being dried and ground are used as an ingredient in East and West African recipes.